Today is my grandmother’s birthday, and I decided to bake this rich date nut bread in her honor. She was the finest cook I ever knew, so creative that she was making risotto and paella in her tiny New York City kitchen, back when I was a small girl in the 1950’s. Even as her sight was fading and she was partially blind, my grandmother threw dinner parties and cooked everything herself. My “Moo Moo” taught me a lot about cooking, setting a beautiful table and, more importantly, how to be a good hostess to friends and family who eat at our table. My grandmother got this recipe from her brother’s mother-in-law, Mrs. Gordon. 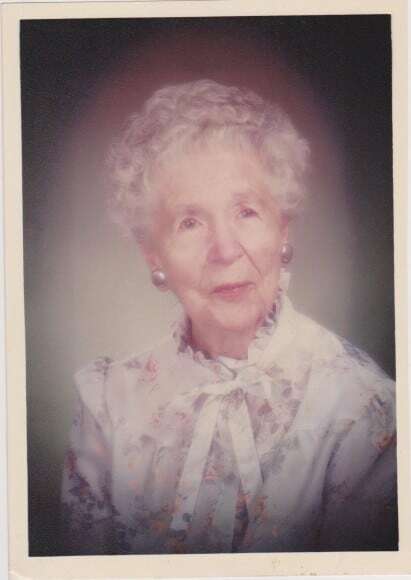 Although I knew my great-uncle and his wife quite well, I never met the famous Mrs. Gordon, but am the third generation of women in my family to bake her dense fruit bread, studded with dates and crunchy walnuts. Come to think of it, I think my great-grandmother had this recipe before the rest of us did. Many thanks to the friendly folks at Natural Delights for sending me a huge box of gorgeous Medjool dates. Standing at my kitchen counter while I pitted dates for my bread, I remembered how this was one of my first tasks in the kitchen when my mother allowed me to use a knife. My mother loved this bread, and always served it at Thanksgiving, as did her mother before her. I sometimes balk at serving a sweet bread with a turkey dinner, but it is kind of Midwestern, like my grandmother was, and I am very sentimental about my family, especially around holidays. Happy Birthday, Moo Moo, and thank you for all the gifts you gave to me throughout your long life. At last three generations of women in my family have been baking this rich date and nut bread. Place the dates in a small bowl and sprinkle with the baking soda. Add the boiling water and let stand for 30 minutes. Using an electric mixer, beat the sugar, egg and butter until smooth. Add the salt, flour and nuts and mix on low until just blended. Stir in the dates-soda-water mixture. Bake for 45-50 minutes until tester inserted in bread's center comes out clean. Allow to cool 10 minutes before turning out on a rack. Slice when cooled. Beautiful post from a beautiful line of women, both inside and out! Can’t wait to try this one out. I used to “settle” for Thomas’ when I lived in NJ–can’t even get it here in Florida now. Pefect excuse to make a loaf. What a beautiful contribution to remembering and food and very special women we are decended from. In honour of your Moo Moo, I am going to cook this cake today for my 88 year old mother who is almost blind and deaf and who is now living me. Fruit cakes such as these are her daily favorites. She used to be a great cook. When my sister and I were of dating age eons ago, we would first check to see what Mum was cooking that night for dinner before accepting (or often declining) a dinner date. Happy birthday Moo Moo. You just made my day, Karen – thank you and I hope your mother enjoys it. Wow! Oh this one definitely is my flavor profile. I love the stories you share about your family and their wonderful recipes. Mare, thanks so much – I am trying to get my blogging back to writing more about my family in our kitchens. I just love that your Gramma was making risotto in the 50’s. What a lovely lady and great recipe. Thanks. Great post Liz and your grandmother’s photo and recipe are priceless! Thanks so much for sharing it with us! My grandmother was also a fabulous baker and always worked in a tiny NY City kitchen as well. Sometime, we’ll have to compare notes! Yes, Beth, we will have to get together and talk about our grandmothers. this sounds so delish! I love dates and I bet in the bread they are like little sweet surprises! Hi Liz, I just love this story! I feel like I’m sitting at your beautiful table right now. You definitely continue the tradition of being a warm and lovely hostess. Thanks, Stephanie – really appreciate your kind words. I loved reading about your Grandmother. How lovely that you have and use her recipes. This cake sounds lovely. I love the photo of your Grandmother too! Thanks, Jayne – she was very, very special – also gave me my Meyer lemon tree during her only visit here in San Diego. Such a nice memory – thanks for sharing and the recipe. Sure – it is fun for me and comforting at the same time. I love that photo too – so priceless. Thanks, Susan. I love a great fruit and nut bread, especially one with such a lovely story behind it. You are so sweet – it’s such a basic recipe but I have my recipe card and a couple of my mom’s for the same recipe – just found them and should have posted. This is a great date nut bread recipe, especially because it is from your Grandma, which makes it so special. Sending lots of #nutlove your way. I grew up enjoying my great memere’s datenut bread. It was so good with cream cheese spread on top! She has been gone for a long time and the enjoyment of her datenut bread went forgotten for many years do to a busy life. Well, when I was at the grocery store they had datenut bread and it triggered a spark of something I had long forgotten about. It was not so great haha…but brought me back to when I was a kid and I want to enjoy datenut bread again so I did a search and you came up so I’m going to try this out and see. Hi Dave, This recipe is pretty easy and I hope it will taste like your great memere’s date nut bread. So awesome! I love all things dates + nuts. 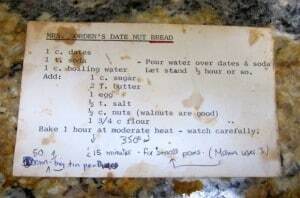 Thanks, Caitlin – this is a really old recipe from my family, still a keeper. Liz what a beautiful tribute to your Grandmother, the date nut bread both looks and sounds delicious. I hope your hand is doing better and that you heal completely and quickly. Will you be able to use your hand to cook for Thanksgiving? No hand until early-mid December. But I will be cooking TG! 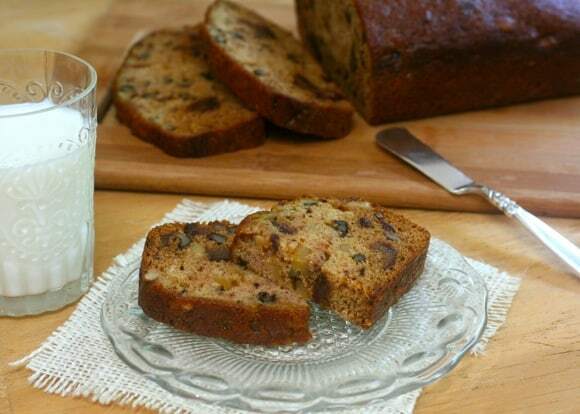 Old family recipes are priceless — I love date nut bread and I’ve been on the hunt for a good one, thanks! Hope this will be a winner for you, Sue – I love your site. I know I’m a little late in posting this but wanted to let you know that this recipe is to die for and will be making this for Christmas presents. I know everyone is going to love it as much as we have. I hope your hand healed will. God bless you and your family. Thank you for the beautiful picture of your grandmother. I made this recipe. Flavor and texture is good. I prepared the loaf pan well as directed; however the date bread stuck to the bottom of the pan which made it unusable for my party. I would reccomend lining the bottom of the loaf pan with parchment paper.